Is there any paperwork or document for the mechanical systems of 36 Quarrie Lane, Ajax, Ontario? I need more information about the property at 36 Quarrie Lane, Ajax, Ontario. How ist the neighborhood, location and nearby amenities for 36 Quarrie Lane, Ajax, Ontario? I have questions about the roof, foundation, insulations and mechanical issues of 36 Quarrie Lane, Ajax, Ontario? I need more information about property details. What's wrong with this house? Is this a short sale? Is there any maintenance for 36 Quarrie Lane, Ajax, Ontario? What is this property worth in today's market? What are "closing costs", and how much? What steps should I take when looking for a home loan? What price home can I afford? Is my credit good enough to buy this house? What are the best mortgage options for me? How flexible is the seller on the asking price? How low can I consider offering for 36 Quarrie Lane, Ajax, Ontario? Wow - Shows 10+++!!! Stunning 1874Sqft Executive Townhouse In Demand Complex In North Ajax Close To Schools, Shopping, Transit & 407!!! Loaded W/Premium Upgrades Thru-Out!!! 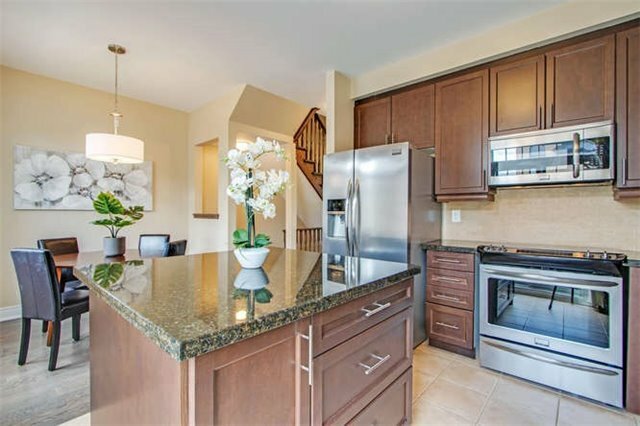 Dream Kitchen W/High End Ss Appliances/Granite Counters/Huge Centre Island/Breakfast Area & Private Balcony!!! Huge Living & Dining Rooms!!! 3 Large Bedrooms Incl. Master Retreat W/3Pc Ensuite!!! 3rd Floor Laundry!!! Ground Floor Office/Den W/2nd Entrance Offers Many Possibilities!!! Youll Love The Spacious Open-Concept Layout, Soaring 9 Ceilings, Gleaming Hardwood Floors & Stairs, 3rd Flr Laundry, Upgraded Lights, Fresh Paint Thru-Out, Garage Entry From House, 2 Covered Patios & Balcony Off Of Kitchen, & Much More!! !